Direction Heading Indicator Aviation Pilot Personalized Luggage Bag Tag. 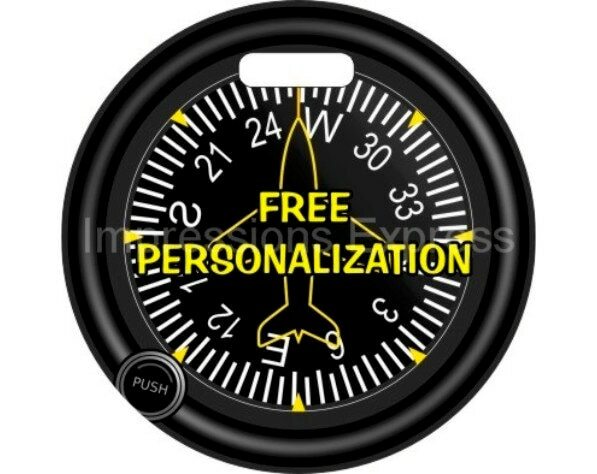 A personalized double sided direction heading indicator image on a round luggage bag tag. The image on this luggage bag tag is a high resolution photo of a direction heading indicator.